When choosing your life partner, what do you look for? Is it an initial chemistry? A lasting connection when you are in each other’s presence? Or the ability to foresee a future where you get through life’s ups and downs – together? Just like when you’re looking for the love of your life, selecting a fountain pen involves some decision making. Although many people choose their perfect pen based on how it looks and feels, the way the pen can be refilled should be considered, too. 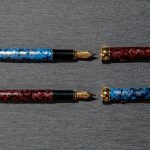 To help you make the right choice when it comes to fountain pens, check out the following differences between pen cartridges and ink wells. 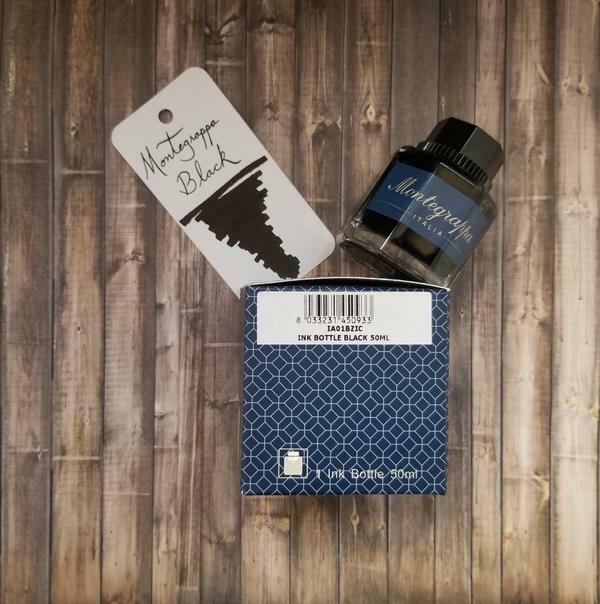 As a small, disposable capsule, a fountain pen ink cartridge comes pre-loaded with fountain pen ink. Built for convenience, fountain pen ink cartridges create an easy, mess-free replacement method. 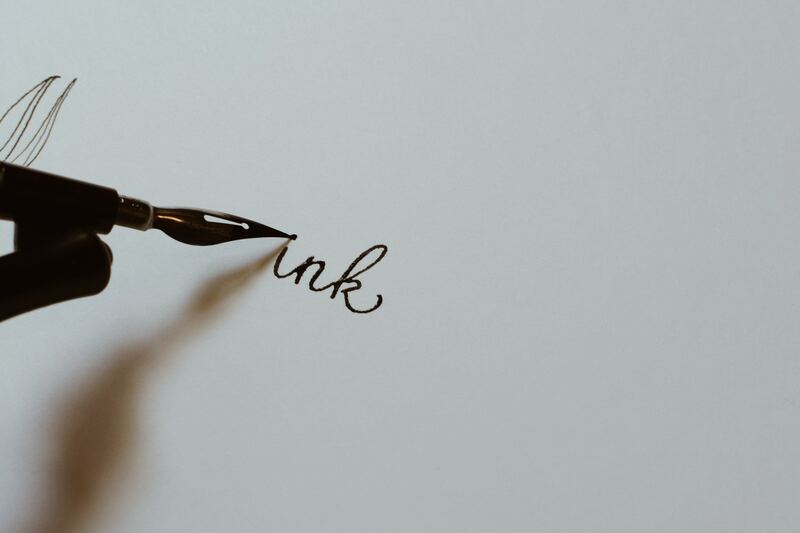 Although it can take a little longer to get the ink flowing again in your pen, there are some tricks available to get the ink down quicker (such as gently squeezing). 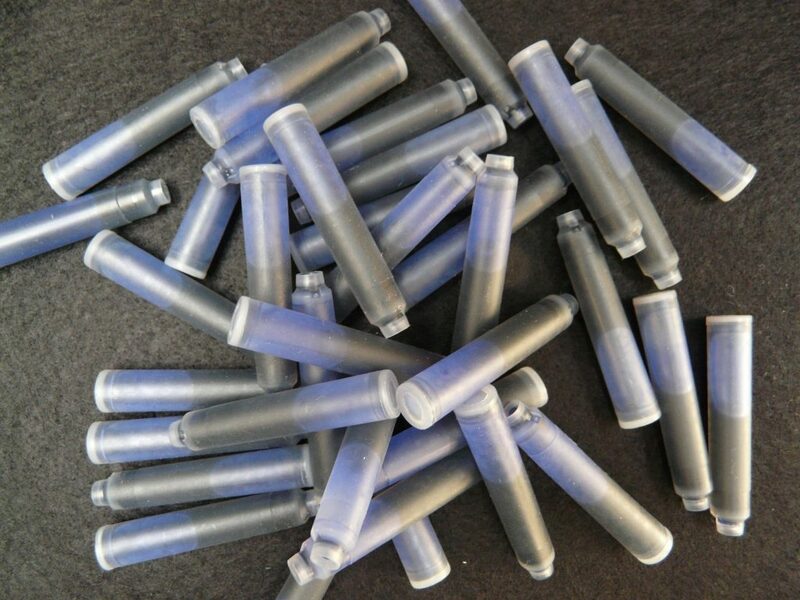 Although cartridges are easy to carry while on the go, sometimes finding the right cartridge replacement can be a challenge. Some cartridges are compatible between different pen brands, but many are not – which can easily create a headache while shopping. Removal is easy since the empty cartridge is simply removed and disposed of; however, this creates environmental waste. Fountain pen ink cartridges are normally smaller and hold less ink than their actuator counterpart, requiring more frequent replacement. Replacement cartridges are not as cost efficient as ink bottles. Plus, colour selection can be limited with pen cartridges. In most cases, only blue and black are available. Some fountain pens hold their ink in detachable actuators which require an ink bottle for refills. Available in almost any colour, ink bottles provide a great way to add a sense of personalization to your writing. 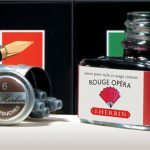 Requiring more of a replacement technique than pen cartridges, ink bottles can easily create a mess on your fingers – and anything else nearby during the replacement process! The process can take a while to master and even those with experience can still create an inky mess. Plus, ink bottles are much more cost effective than their pen cartridge counterpart. There are even some online communities available that provide an opportunity for ink swapping or ink sampling! Undecided which fountain pen route is best for you? Some pen manufacturers offer both options with the purchase of a new fountain pen. 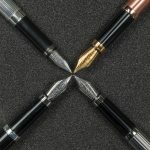 In the end, your choice of fountain pen comes down to personal preference and the amount of effort you’re willing to put into keeping your pen’s ink flowing. Let us know which of our pen collections you prefer and why in the comments below!